UPDATED: April 27, 2018 at 4:15 a.m.
Lesley University first-year student Jonathan Hill is working to locate the unmarked Cambridge graves of two Revolutionary War-era African-American soldiers and freed slaves—currently, he believes the sites lie somewhere near Harvard Yard. Ever since a small plaque caught his eye, Hill, a digital filmmaking major, has been doing research in the hopes of finding the exact spot where the two men are buried in order to give them headstones—which are not currently present in The Old Burial Ground, a cemetery located nearby Harvard's campus and across from the Yard. 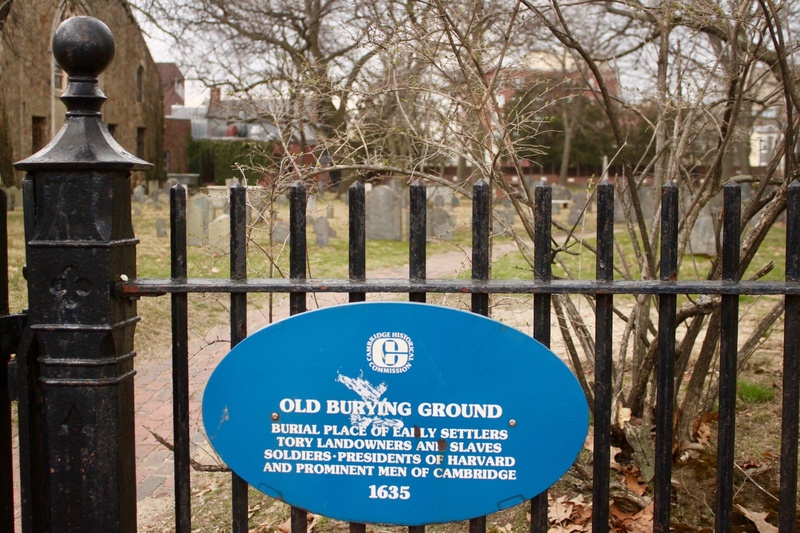 The Cambridge Historical Commission, the body tasked with preserving historic sites in the city, previously knew that the two soldiers, Cato Stedman and Neptune Frost, lay in the cemetery, though they did not know exactly where, according to Charles M. Sullivan, the commission’s executive director. While the exact locations of Stedman and Frost have yet to be officially named, Hill is working with the Commission and the Cambridge Department of Veterans’ Services to find the right spot. Once determined, Hill plans to apply for headstones. By looking through old records and archives, Hill and his affiliates are trying to uncover more information about the individuals’ life stories as well. “We’re just at the very beginning,” Hill said, noting he has many leads to follow. Based on Hill’s current findings, it seems likely that Frost and Stedman were buried alongside their former slave owners, indicating they were not buried in mass graves—as was common for the many enslaved people who could not afford a headstone. Hill, who calls himself a “huge history nerd,” said he has developed an affinity for finding unmarked graves and ordering headstones because the stones signify that someone mattered more than just records, he said. “There’s so much history here, and it’s amazing to think of how many people have walked by and just thought about the history in Boston and not really recognized the blank spaces of individual contributions,” MacInnes-Barker said. A previous version of this article incorrectly indicated that Jonathan Hill is working with the Cambridge Historical Commission and the Cambridge Department of Veterans' Services to perform digs. In fact, neither Hill nor any of the two organizations are performing digs. —Staff writer Simone C. Chu contributed reporting to this story.